Single Tasking Day – Increase Your Productivity By Doing Less! Multitasking is a lie. There is no such thing as true multitasking – the human mind is built to be the most efficient when focusing on a single task. According to modern psychological studies, what we think of as multitasking can better be described as “task switching” – instead of focusing on one single thing, we focus on many different things, one after the other. This can have a major effect on our efficiency and productivity – switching between projects, patients, and tasks one after another means that you can’t really focus that much on any particular thing. In fact, “multitasking” can mean that you spend a longer time doing things that could be accomplished more quickly if you focused on them one at a time. This is the idea behind Single Tasking Day. Celebrated on February 22 this year, Single Tasking Day has been created in response to the multitasking habits that are so common in today’s society. Single Tasking Day is all about focusing on one thing at a time, getting it done, and moving onto your next task – a highly efficient method of increasing your productivity. In the spirit of increasing your productivity, we’ve put together a list of quick tips that can help you increase your productivity at work – whether you’re required to “multi-task”, or can focus on “single-tasking”. Take a look. Writing down things that you need to remember just… works. There’s no psychological agreement on how, exactly, this effect works, but it remains just as true – when you write something down, you’re more likely to remember it. This could be because you don’t just think about what you have to do – by taking the time to write down a specific task or reminder, you take the mental energy to think through that task, and put it on paper. Of course, it also helps that if you write something down, you’ll probably keep that paper on you – if you keep a convenient paper handy with tasks that you have to accomplish written down, you can always consult it if you think you’re forgetting something. A to-do list is similar one of the absolute best ways to ensure that you maximize your productivity. 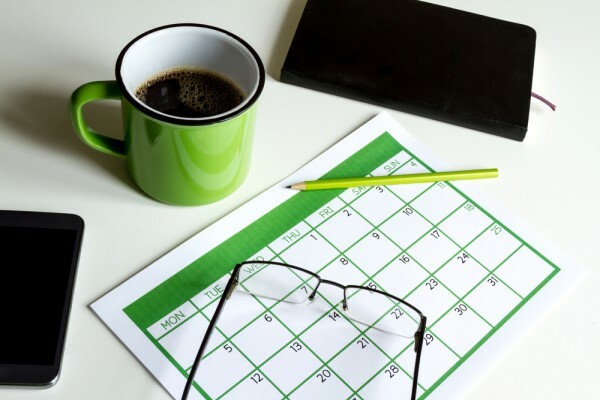 By planning your tasks for the day proactively, you can focus on one at a time, and getting a visual overview of what you are expected to accomplish on any given day gives you a great way to plan, strategize, and come up with effective ways to be productive. You’re not alone as a nurse. You’re never alone. Too often, nurses get caught up in their individual duties, rushing from patient to patient – and ignoring the support staff that are all around them. This can happen to all of us. Maybe it’s because it feels like asking your team to help you with a patient or a task feels like slacking, or like you’re pawning off something you don’t want to do on them. Nobody wants to be that nurse. But there’s no shame in working with your team, communicating about your needs, and asking others to help you out with patients if you’re overworked. In fact, if this becomes commonplace within your team of nurses, orderlies, doctors, and other hospital staff, it can make your life much easier. When one particular team member is overworked, others can help lighten the load, making things easier for everyone. So remember. You have a team. Use them – and let them know that you’re willing to help them out, too. Doing the bare minimum always comes back to bite you. This is true in any job – but especially true in nursing. Quick! Imagine the sound of the “call nurse button! Did you have a heart attack? Your stress levels are definitely rising. We can tell. But seriously. No nurse likes to get called by a patient right after they’ve seen them. It’s inefficient, and can mean a lot of rushing around. The best way to avoid this is by being proactive. Before you leave the room, take a minute to look around and think about what you have to do. Ask your patient about the basics – food, water, bathroom needs, and so on. Is there anything you’re forgetting? Anything simple? The basics are often the easiest to overlook – that’s why this tip is so helpful. Distractions are everywhere today – especially on your phone. Resist the temptation to use your phone! Don’t go on social media, don’t answer messages – if you really have to get stuff done, you should be leaving your phone in the break room, or your locker. Don’t carry it around with you – when you’re working, focus on your work. If you don’t, you’ll find your job is much harder. Constant distractions break focus – even just a minute spent answering a text message could distract you from something critical. Save your phone for breaks, and when you’re off duty. If you stay focused while working, things will be much easier for you. Nurses don’t always have the option to focus on one thing at a time. But if you take the basic meaning of this lesson – it’s always better to concentrate on the task at hand – you’ll find your productivity increases. And when your productivity increases, you have more time – which is always in short supply for nurses. So check out these tips, stay focused, and perform better at work. Your patients, coworkers, and your stress levels will thank you.